I created this promo character to banter with Chris Rock about his special guest star appearance on the season premiere of Everybody Hates Chris. My creative director was also Chris - Chris Donovan @ the CW. To demo the concept, I produced this homage to the classic Hank Kingsley audience warm-up bit "Applesauce" from the Larry Sanders Show. Always steal from the best, right? Wow. You guys are one great-looking audience for the season premiere of The CW Comedy Monday! All right! And that sign up there - what's that say? Oh, oh applause! Applause! But not for me, you know - I'm just the warm-up guy, right? You put the oopid in stoopid! Okay. Hey, give it up for special guest star Chris Rock on the season premiere of Everybody Hates Chris! The CW Comedy Monday season premiere - tonight! GREY'S ANATOMY SYNDICATION > McTease Me! I supplied just the bare bones here, the original McTease Me concept & announcer copy - excluding the tag line. My creative director Judie Stillman @ Beantown fleshed out the production brilliantly. Coming this fall, The Grey's Anatomy Weekend. This spot is titled "Wig Out". Which is exactly the opposite of my experience working on this syndication launch campaign for my creative directors David Zaccaria & Susan Kantor @ TelePictures. Those two were as crazy-cool as the Tarantino-esque promo score that drives "Wig Out" over the top. TMZ is coming to TV! It's Tinsel Town caught with it's guard down. No glitz, no glam, no phoney balony Hollywood image! - as only TMZ can bring them to you. Real. Unfiltered. Unapologetic. And sometimes undressed! You just can't script this stuff. You make them stars - we make them real. TMZ is coming to TV! Probably my favorite network sweeps radio campaign, ever. 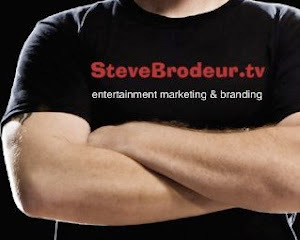 I branded it Star Talk Radio, and I own the domain startalkradio.com. I scripted the interviewer questions for Lauren and Alexis, around an episodic story sell, and produced & directed the recording session with L & A. Then, from their responses, I scripted and produced this "faux radio interview" spot. I created this Answer Guy character for the CW's network launch campaign. My creative directors were Anthony Armenise and Chris Donovan @ the CW. Our objective: to beam up Tyra Banks from the dying planet UPN. To successfully rebrand & relaunch America's Next Top Model to become the CW's new flagship reality franchise. Hello, the new CW television network! I can't find Top Model anywhere! I need my Tyra time! You've got to help me!! And that airs this Wednesday. Oh thank you! Thank you! Yeah so what are the new Top Model girls like? Well let's see, there's a rocker, a stripper, oh and the twins. Dude, did you say twins?!? Yeah man, can you say identical six-foot-tall gorgeous twin sisters? This is my favorite part of Top Model! Hey, Tyra Banks, what part is that? Meeting the new girls every season this is what I live for! The two-hour season premiere of America's Next Top Model! Wednesday, on the new CW television network! Many thanks to my creative directors Bob & Lew @ the WB for spitballing the concept for this little softcore gem. The pleasure of fleshing out the writing and doing the production was all mine. Her heart races. His muscles twitch. We should take this slow! We've been taking this slow for four years! She allows him to touch her. Unaware that every fiber in his body holds more strength than any normal man. He's longed to get this close, but knows the reasons they should not. She doesn't care. Now, it finally happens for Clark Kent and Lana. You're the only one I've ever really loved. It's only been you, Lana. I want our first time to be as special as you are. Smallville! A season becomes legend! My (animated) dream gig. 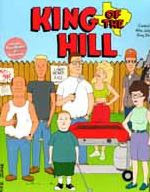 First I got to write fifty-plus episodic promo packages for the premiere syndication run of King of the Hill, for my creative director Dave Carr @ Beantown. Then I got to write & produce this KOH syndication launch radio for Bill Barlow @ Fox 11 L.A.